Lush greenery, colourful decorations, a delicious spread, great company and good times…what could be better than a beautiful garden party? Here, we’ll show you how to throw the perfect garden party in style using our new Confetti Collection. From decorations, to food and drink, to party favours, to gift wrapping and more…read on to discover how. Use the beautiful green surroundings to your advantage. Colour pairs perfectly and pops against the rich green background. Make a statement and hang DIY Paper Gems from branches above. So simple and so effective. 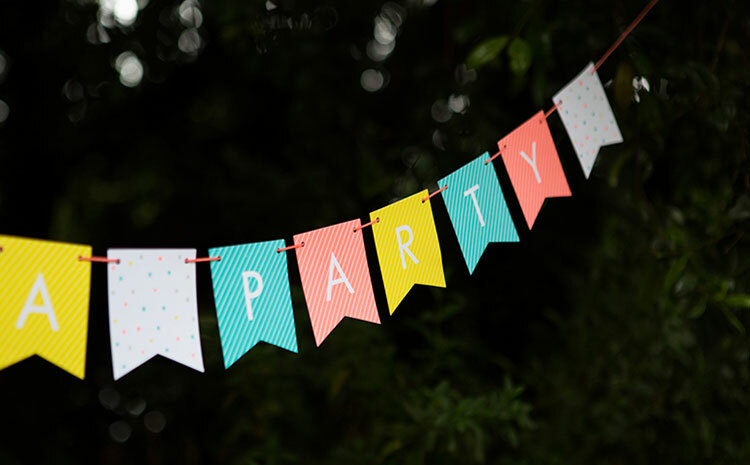 Use Alphabet Bunting to write out a fun message and hang in the trees to be spotted by guests arriving. The table and party spread is the centre of attention. Create the perfect setting with fun Paper Plates, Cups, Serviettes and Straws and add the finishing touches with gorgeous flowers. Find out how to create your own gorgeous garden party table setting here. 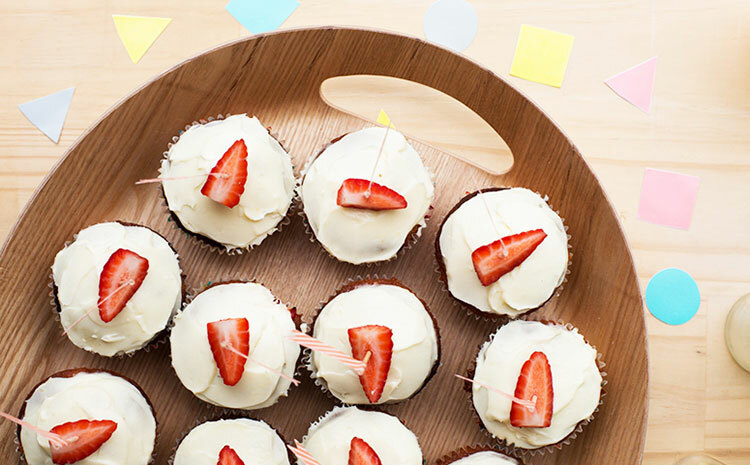 No party is complete without cake… A modern take on the traditional Swedish Jordgubbstårta (Strawberry Cake) we created these delicious Strawberry Cupcakes. Find the recipe here. Every celebration deserves to be made timeless by capturing moments from the day and words from loved ones in the pages of a beautiful Guest Book. 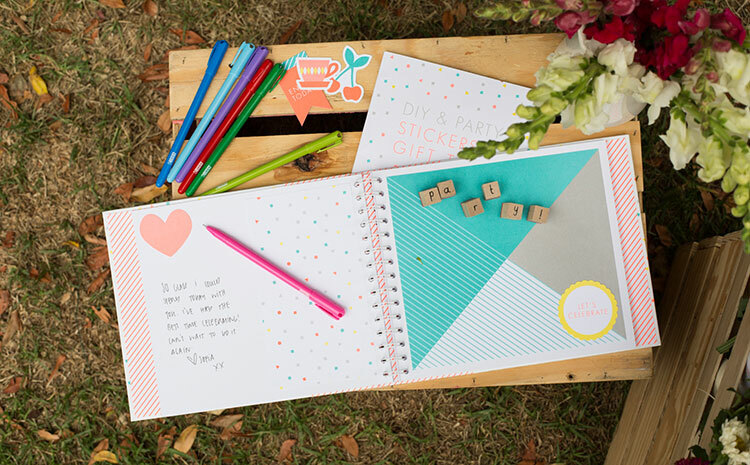 The Confetti Scrapbook Album Kit is the perfect place to do just that. Discover how to create a gorgeous keepsake here. For all those Instagram lovers, you’ll enjoy snapping and sharing moments from the day. Turn those memories into Instagram Prints to create photo bunting, add to your Guest Book or gift to friends. Find out more here. Impress guests with a sweet and thoughtful Thank You gift. 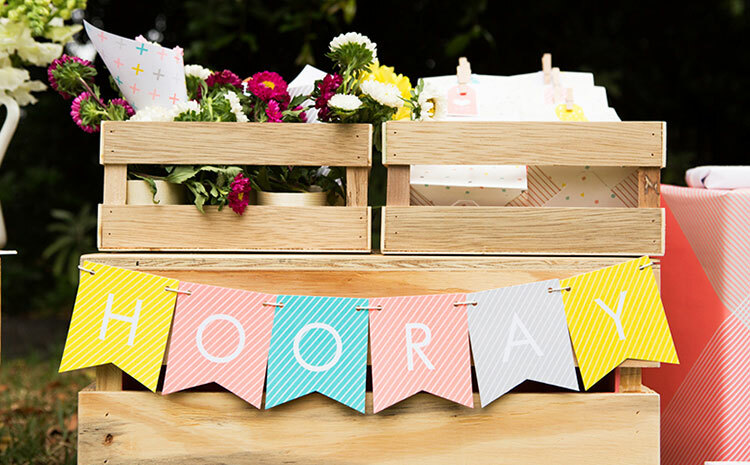 From fun filled Goodie Bags to DIY paper cones of sweet treats. Learn how to create your own and gift in style here. 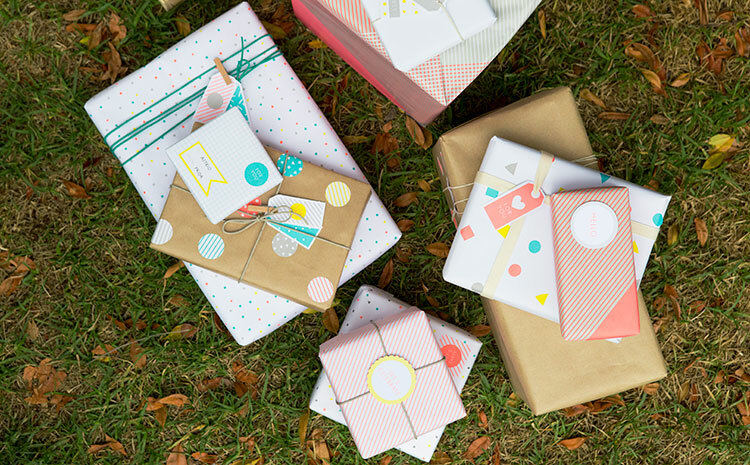 For those attending a party, give your gifts the presentation they deserve with colourful gift wrapping. Pops of neon and confetti shapes will bring your gorgeous gifts to life. Find out how to DIY here. 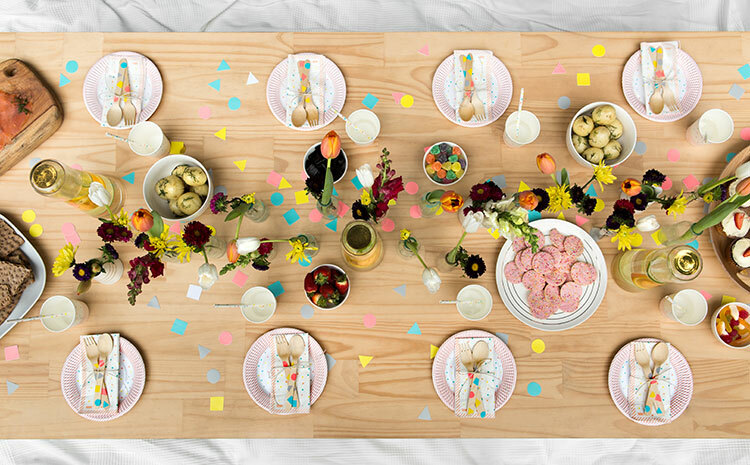 Shop the Confetti Collection online here and throw the perfect garden party today.